November 2 was the official Day of the Dead here in Mexico. For at least a week beforehand, people put up their altars and set out life-size Catrinas decked in fancy dress clothes. There have been processions, too. In our colonia also for celebrating a saint or two. 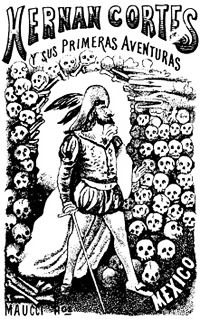 La Calavera Catrina was a creation of Jose Guadalupe Posada, a printmaker who used her to satirize classist living in Mexico: the rich clothes hang on the skeleton who spent her money on them and didn't have enough for food. Calavera actually means skull, but has come to mean the whole Day of the Dead ummm woman. Posada himself was famous as a satirist of Mexican life as well as an illustrator and a major influence on the muralist Diego Rivera. 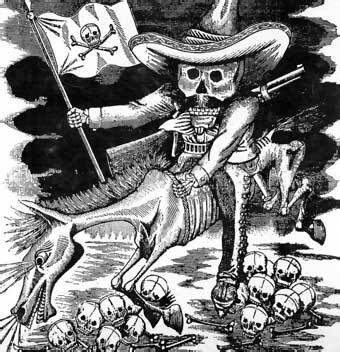 In the second half of the nineteenth century and the beginning of the twentieth in Mexico there was in fact what I might call a movement of satirists and cartoonists who made fun of the government and society and everything related to them. They were skillful artists, these cartoonists. The tradition continues today, though I think in somewhat muted form. Posada was not just a political cartoonist, however. 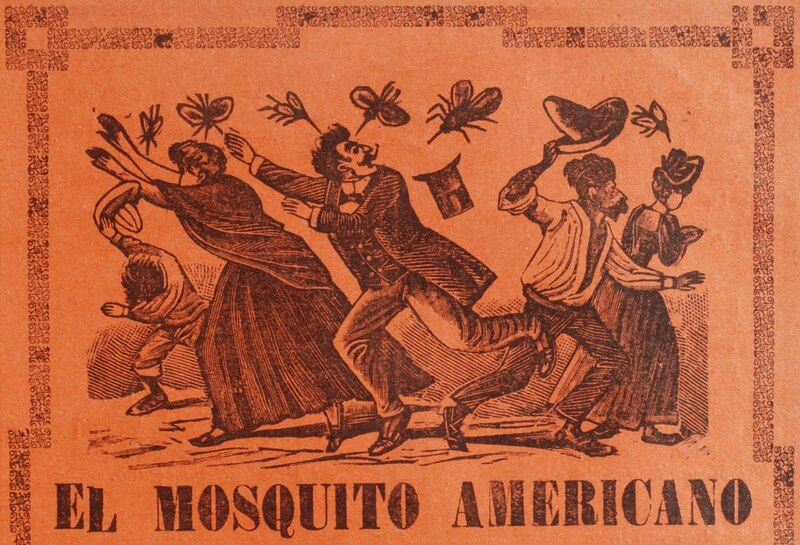 He made thousands and thousands of prints about all kinds of Mexican subjects. He was enormously skillful. He used a number of methods to make his prints including lithography, and to speed up his work, he developed a process of using a special ink directly on a metal plate. His first pictures appeared when he was still a teenager in a journal in Aguascalientes, his hometown, called El jicote. And below a sampling of his work. I don't know whether this was a cover of a book or what, but it sure wasn't pro-Spanish. Some thoughts on this print can be found at this link. If you are interested in Posada, this is a site worth visiting. 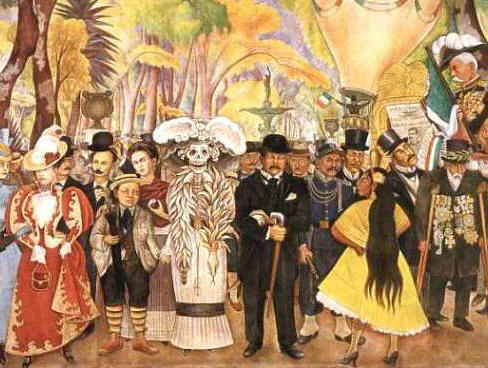 I'll conclude with this, the central panel of Diego Rivera's mural, Dream of a Sunday Afternoon in the Alameda (Park). Catarina has one arm through Posada's arm and with her right hand, she is holding the child Diego's hand. Behind Diegoyou can see Frida Kahlo. There are hundreds and hundreds of images of Posada's creations on Google. Because he worked mostly in black and white, the computer screen is okay for looking at his pictures.